It’s that time of the year when everything in life has an extra sparkle, so it wasn’t going to be long before there was a gaming site based on Christmas. 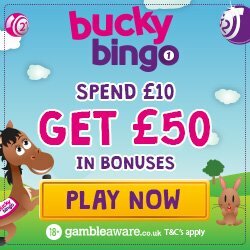 Place a Bet Online would like to introduce you to Season Bingo, launched in 2015 which brings Santa and presents all year round; maybe this is what Santa does with his downtime? Now just because Season Bingo is based on Christmas doesn’t mean that it is the only time of year you can play on there. Season Bingo is a 365 days a year kinda site, so enjoy that festive feeling on the beach, or sat in the garden when you’re having a BBQ in the Summer. Of course everyone loves to play games at Christmas, so you won’t be surprised that Season Bingo have a huge range of games including Bingo, Mini Games, Scratch Cards, Table Games, Progressive Slots and Featured Slots such as Sugar Train and Fluffy Favourites. Whether you’re hiding from the family or you’re taking that well deserved soak in the tub, you can access Season Bingo when and wherever you like. They offer the ability to game on your desktop, mobile and tablet devices, so you can game on the go 24/7. The best place to begin is with a little gift under the tree and with Season Bingo this comes in the form of a deposit bonus. You simply need to register to start the process of claiming your bonus. When you’re in the mood for quality games and you make your 1st deposit, you can enjoy their 300% cash match bonus between £5 and £20. 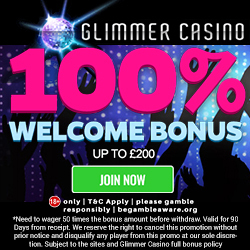 No code is needed to activate this bonus and to give you an example of what you could earn, merely add £10 and you’ll get £30 extra; this makes a total of £40 to play with. Those bonuses continue when you make your 2nd deposit because for anything between £10 and £100 you’ll receive a 150% cash match bonus. Use code TWO and the credit will be added to your account for extra gaming fun. Yes there’s even a 3rd deposit bonus where for amounts between £10 and £100 you’ll receive a 100% cash match bonus, meaning you’re doubling your money. Again add in the code word THREE and you’ll have plenty of credit to keep you going for a while. 150% Main T&Cs: Funded players only. Min deposit £10. 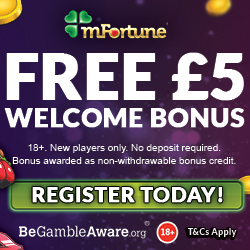 Max bonus £150. Valid once only on a second deposit. Promo code: TWO. To withdraw winnings connected with bingo bonus funds, wager 4 times the deposit + bonus funds. Withdrawal restrictions apply. Bonus available for use on bingo games only. T&Cs Apply. 100% Main T&Cs:Funded players only. Min deposit £10. Max bonus £100. Valid once only on a third deposit. Promo code: THREE. To withdraw winnings connected with bingo bonus funds, wager 4 times the deposit + bonus funds. Withdrawal restrictions apply. Bonus available for use on bingo games only. T&Cs Apply. Loyalty is important to Season Bingo, so they offer a little extra every time you deposit. You can enjoy a 50% cash match bonus, which will automatically be added to your account. You can use this extra credit to take part in their regular promotions, with new offers being added on a monthly basis. What’s better than playing incredible games and enjoying generous bonuses; how about sharing it all with a special friend? With Season Bingo you can refer a friend and whilst they enjoy the deposit bonus, you’ll receive an extra £10 in credit. There is a limit each month on the number of friends you can refer, but it’s still plenty of credit to enjoy. From the moment you register with Season Bingo you’ll become a VIP in their eyes. Their VIP scheme offers 5 levels (blue, bronze, silver, gold and platinum) which you can work through merely by playing. For every pound wagered you’ll receive 1 point and each level offers bigger and better bonuses. Should you have any questions or problems then you can contact a Season Bingo representative via email, telephone or live chat. They also offer an extensive FAQ section for any general questions to make the process even quicker for you. Season Bingo accept the usual banking methods such as Credit and Debit cards, Neteller and Paypal. So t’is the season to be jolly and you certainly will be with so many amazing bonuses! 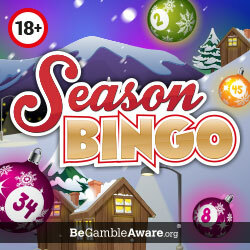 Simply head over to Season Bingo and claim your deposit bonus.